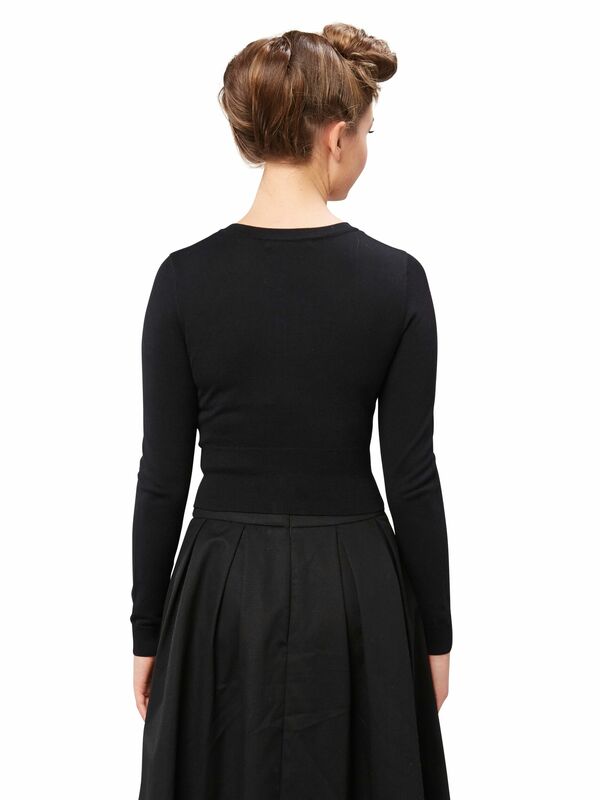 Chessie Long Sleeve Cardi https://www.review-australia.com/global/chessie-long-sleeve-cardi-black/RE15KW217.REBLK001.html The perfect cardi for any occasion, the Chessie Cardigan is a classic Review style in fresh new colours. It is a slightly cropped length with a wide hemband, cute embossed dot details and buttons dyed to match perfectly. Monogram me for $25! Please note as monogrammed items are bespoke we cannot accept exchanges or refunds. The perfect cardi for any occasion, the Chessie Cardigan is a classic Review style in fresh new colours. It is a slightly cropped length with a wide hemband, cute embossed dot details and buttons dyed to match perfectly. Monogram me for $25! Please note as monogrammed items are bespoke we cannot accept exchanges or refunds.